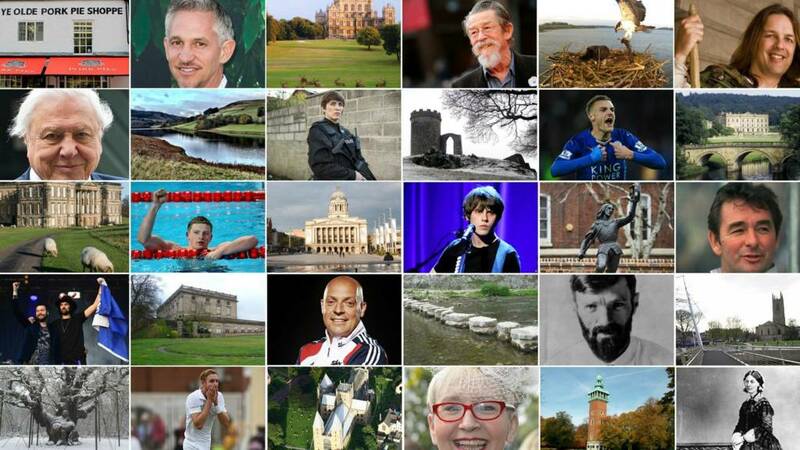 Today's updates have now finished but Local Live will return from 08:00 on Friday. M1 Leicestershire northbound severe disruption, between J23A for A42 and J24 for A6. M1 Leicestershire - One lane closed and slow traffic on M1 northbound between J23a A42 and J24, A6 (Kegworth), because of a broken down vehicle. In the roadworks area. We are live at the University of Derby for BBC Radio Derby's election debate - featuring candidates for the country's most marginal seat, Derby North. It will be a dry evening with some clear spells reaching lows of 14C (57F). There will be a warm start to tomorrow morning with some showery rain and possible thunder in the afternoon. Temperatures will reach a high of 21C (70F) on Friday. M1 Leicestershire - One lane closed and slow traffic on M1 northbound between J24, A6 (Kegworth) and J25, A52 (Nottingham), because of a broken down vehicle. Derbyshire have announced their 14-man squad to play Nottinghamshire at Trent Bridge tomorrow. The squad is: Godleman, Reece, Slater, Macdonell, Thakor, Madsen, Hughes, Wilson, Smit, Mendis, Taylor, Palladino, Hemmings, McKerr. Tonga international Sione Kalamafoni is one of four new signings announced by Leicester Tigers today. The 29-year-old, who has played in two world cups, said he was "delighted" to have joined "a big club with a lot of history". The victim of a stabbing in Leicester city centre yesterday is now in a stable condition in hospital, police have said. Several roads were cordoned off after the man was discovered by a passing police car at the junction of Sanvey Gate and Soar Lane at 00:50. Officers have been carrying out door-to-door enquiries today to try to establish what happened. Police are appealing for witnesses - particularly these three pictured - after a serious assault involving a knife took place at a tram stop. Officers were called to Highbury Vale tram stop in Nottingham at about 20:50 BST on Monday 17 April after the assault, which police say took place following a confrontation between a group of people. A crossbow pistol and bolts were among the items stolen from a house in Ilkeston. The crossbow pistol – a small crossbow with a trigger mechanism – was taken along with a compound bow and arrows. A 42in black Hitachi television, a Panasonic Lumix DSLR camera, and an Xbox 360 games console were also taken during the break-in at a property in Haddon Street, Ilkeston. The house was unoccupied for a number of days around the time of the burglary, which happened at the start of May. Spare a thought for Weather Watcher Maggie T from East Leake. She was out taking some photos in the sun this afternoon when her car broke down. Despite the setback, she cheerily uploaded this pic with the caption: "The show must go on!" Holgate Primary School and Nursery in Hucknall has been forced to close for an extra week after half-term because of water damage following a fire. The blaze broke out last Friday and although the building was saved, it has been severely affected by the sprinkler system. It will remain closed until at least Friday 9 June. 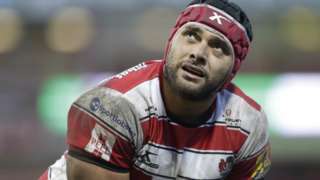 Leicester Tigers sign Sione Kalamafoni from Gloucester, one of four new signings at Welford Road. Sentimental jewellery has been stolen from a house in Ilkeston. It was taken from an art-deco style box, which was black with orange birds on it. The break-in happened at a house in Oakwell Drive between 09:00 and 17:00 on 24 May. Two more people have been arrested on suspicion of firearms offences following reports of gunshots on a residential street in Leicester. Police said a 17-year-old youth and an 18-year-old man were questioned yesterday over the incident in Tolton Road on 21 May before being released pending further enquiries. Despite the reports of shots, nobody was found injured and no local hospitals dealt with injuries relating to gunshot wounds. Four other people - a 22-year-old man and three 16 year olds - were previously arrested on suspicion of firearms offences and also released pending further investigation. This is how the revamped Broadmarsh car park and bus station will look when it opens in late 2019. The city council plans to create a pedestrian area between the shopping centre and the railway station with a new car park entrance in Canal Street. Nottingham City Council has given the demolition of the Broadmarsh Centre car park and bus station the go-ahead. Work to build a replacement is expected to be completed by late 2019. The council said it would be running a competition to offer a local person the chance to get the demolition under way next month. Photos have been released of several men police want to speak to about a clash between football supporters at a pub in Derbyshire. The men, who are thought to be Birmingham City supporters, fought with Cardiff City fans at the Royal Oak in Barlborough ahead of away games for both sides on 14 April. The Birmingham City fans were on their way to Rotherham United and the Cardiff City fans were heading to Sheffield Wednesday. We understand reports of interest in Chesterfield forward Kristian Dennis are true. No concrete offers made though and the club is unwilling to sell. The Women's Tour cycle race will be passing through Warwickshire on Friday, 9 June. You can find a full list of road closures on the Warwickshire County Council website.